Vastu Shastra is an ancient concept which deals with the construction of buildings and other structures keeping in mind the five elements of nature and the ten directions of the universe in an attempt to create a positive, happy and peaceful environment to live and grow in. following Vastu principles in life ensure a successful, disease-free and prosperous life in the long run. Here are some basic Vastu guidelines which should be made a part of one’s daily regime in order to get permanent growth and success in life. 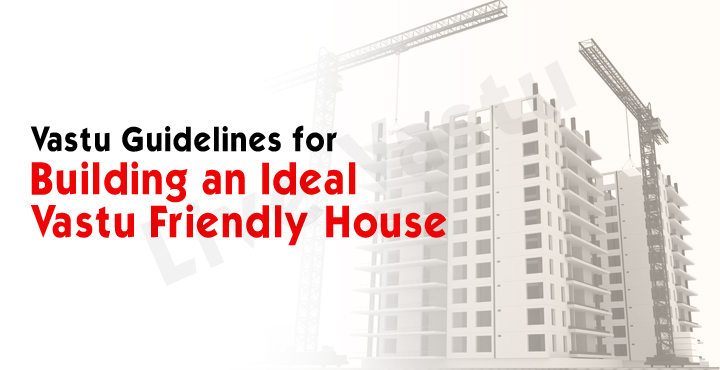 • Always purchase a property which is either square or rectangular in shape. Never buy a plot with corner extensions and corner cuts. • The north-east corner of the house should host the prayer room. The south-east should have the lamp while the north-east of the temple should have the water placement. • The prayer area should not have broken statues or spoilt pictures of any kind. • The south west corner should be used for hanging photos of deceased family members and ancestors. • The north, east or the north-east should have the living and the dining area. • It is believed that the head of the family is the one who guides the fortunes of the family wisely and hence he should be allocated the south-west corner room. • The north-west or the west region should be used for positioning the bathroom or toilet. • The pictures and images which are hung within a house play a very important role in determining the flow of positive energy within it. Hence, Vastu says we should avoid putting pictures of war scenes or paintings of sorrow, tragedy and other calamities within the house or office premises. • If there is a storeroom in the northwest corner of the house, it would lead to abundant supply of essential commodities. • The Brahmasthan or the center of the house should not be kept loaded with heavy stuffs. There should not be any obstruction in this part of the house which may be caused by the presence of a staircase, pillar or wall etc. • The east, north-east or north should have the study area within the house. While studying, the child should face the east or north. Vibrant colors like yellow, blue, orange and violet should be used in the study room. If the study room is located in the south or south west direction, the child would not be able to concentrate in his studies. • The southwest or west area should be used for adding an extra floor or loft to the structure as this would protect the inmates during tough times and even safeguard the source of income for them. Putting extra weight on the southwest and south directions is like strengthening the foundation of the structure to future health and prosperity.